There is no such thing as too much happiness or too many celebrations! At our house, we celebrate birthdays and half birthdays. We even celebrate the 100th day of school each year or when someone brings home a good grade on a hard project. 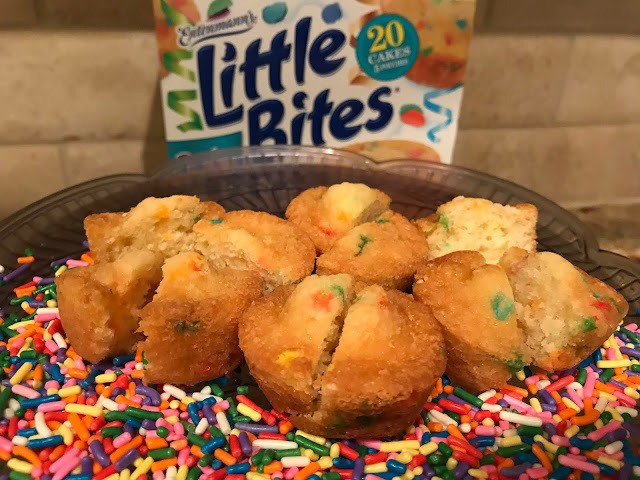 It's often the little things in life that add happiness, so it's not lost on me that Entenmann’s® Little Bites® are celebrating their 20th birthday with generous prizes that include money for parties, charities, and plenty of Little Bites®! 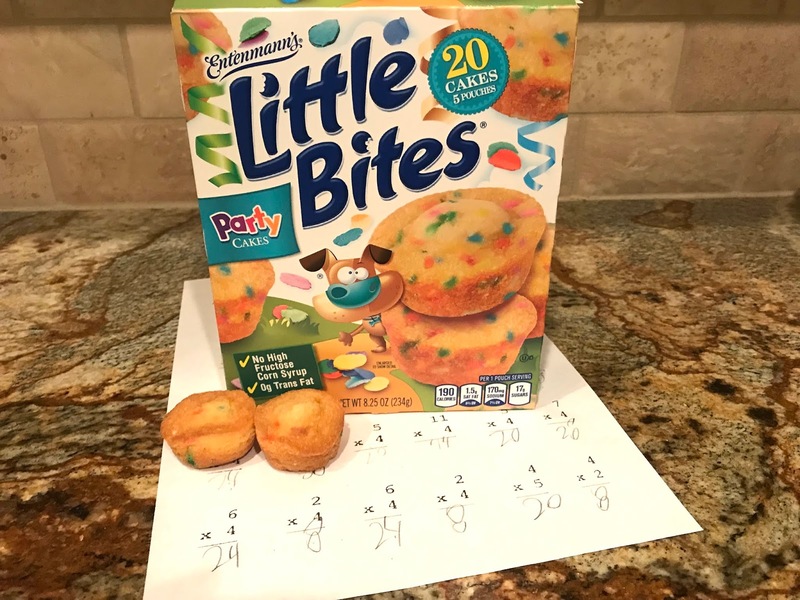 In today's post, I'll accomplish three things: (1) share 5 Things that Your Family Should Celebrate to Create Extra Childhood Memories, (2) point you to the Entenmann’s® Little Bites® 20th Birthday Bash Sweepstakes, and (3) let you enter for a chance to win an exclusive Entenmann’s® Little Bites® 20th Birthday Bash prize that is just for our readers! As I mentioned earlier, we celebrate a lot at our house. Nothing is too big or small to celebrate when it comes from the heart. Let's start with 5 celebrations that may create happy childhood memories. 1. Celebrate half birthdays. Take the opportunity to celebrate life and happiness throughout the year by celebrating each other's half birthdays. It doesn't require anything fancy. For instance, we take Entenmann’s® Little Bites® and cut them in half for half birthdays! 2. Celebrate good work ethic. Rather than rewarding our children for "being smart", we like to reward them for "working hard." At first glance, you may not notice the subtle difference, but we celebrate good work ethic and the feeling of accomplishment that comes from hard work. We notice when our children work particularly hard and celebrate when we know that they could use the encouragement. 3. Celebrate the 100th day of school each year. Our children celebrate the 100th day of school in kindergarten. Even though none of our children are in kindergarten this year, we think that it's a fun opportunity to reflect mid-way through the school year. 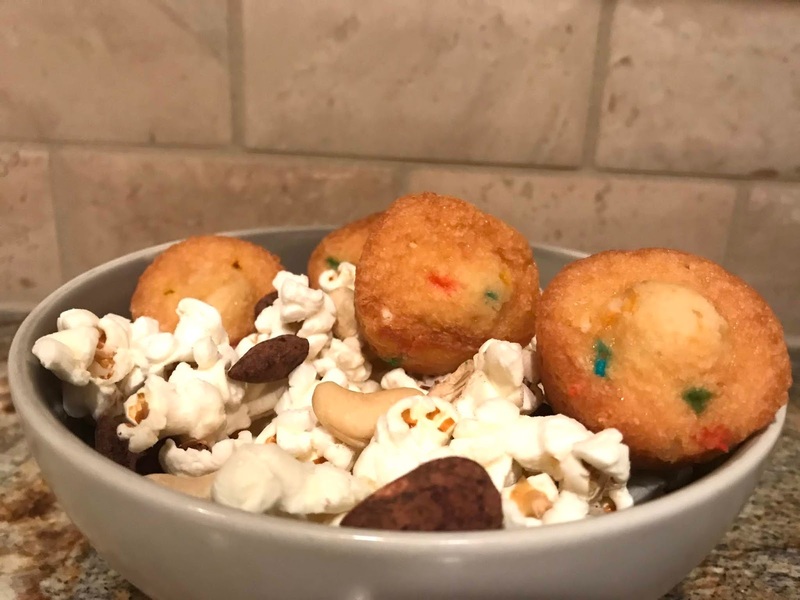 We let our children create snack mixes in bowls where each bowl contains 100 items such as pieces of popcorn, cashews, almonds, and more. We even mix Entenmann’s® Little Bites® into the snack bowls and count each mini muffin toward the 100 items in each bowl! 4. Celebrate Taco Tuesdays or another special dinner night. We live in Texas, so we celebrate Taco Tuesdays. However, you could pick your family's favorite meal and create a tradition where you eat that type of food once a week. For instance, while we love Taco Tuesdays, other people love Pizza Night. The weekly routine is fun for us and I'm sure that it will help our children to always remember our fun family dinners together. 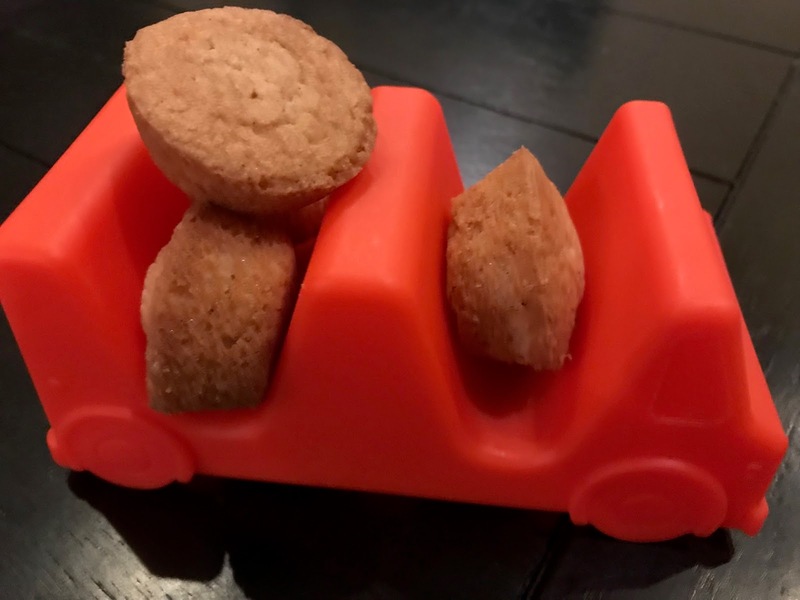 If you are looking for a fun idea, I recently added the new limited edition Churro Little Bites® to my son's taco truck taco holder and that was a big hit. My boys love to celebrate at our weekly dinners. Submit your Happy Birthday Wish to Little Bites (along with contact info) here. 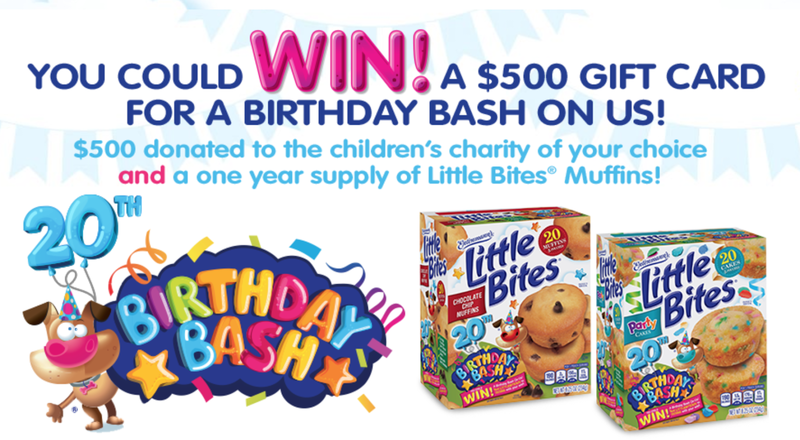 For each message submitted, Little Bites will donate $1 (up to $6,500) to The Birthday Party Project, a national organization that hosts birthday parties for kids who are residing in homeless or transitional living facilities. I love that they are helping others and adding celebrations to people's lives! After all, isn't everyone worth celebrating?! Enter for a chance to win the sweepstakes here. 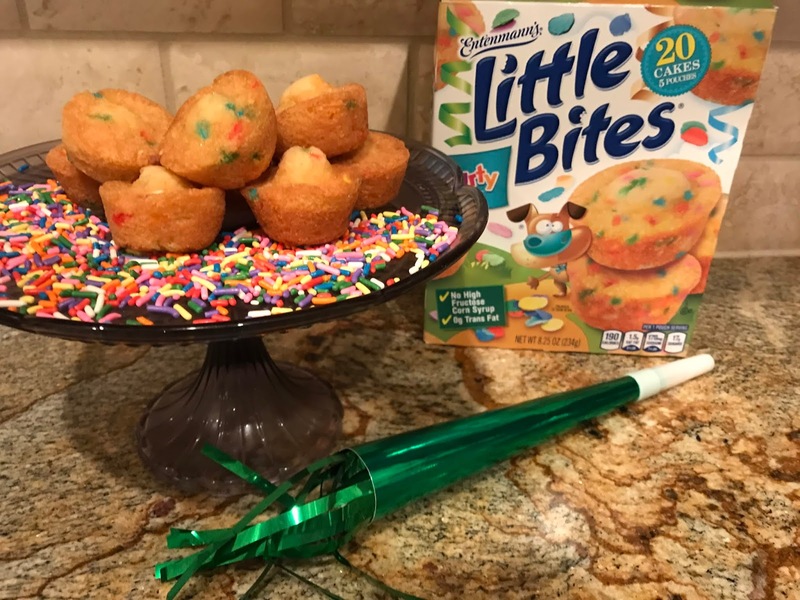 Now that I've shared 5 Things that Your Family Should Celebrate and told you about the Entenmann’s® Little Bites® Birthday Bash sweepstakes, let me share an exclusive giveaway for our readers. 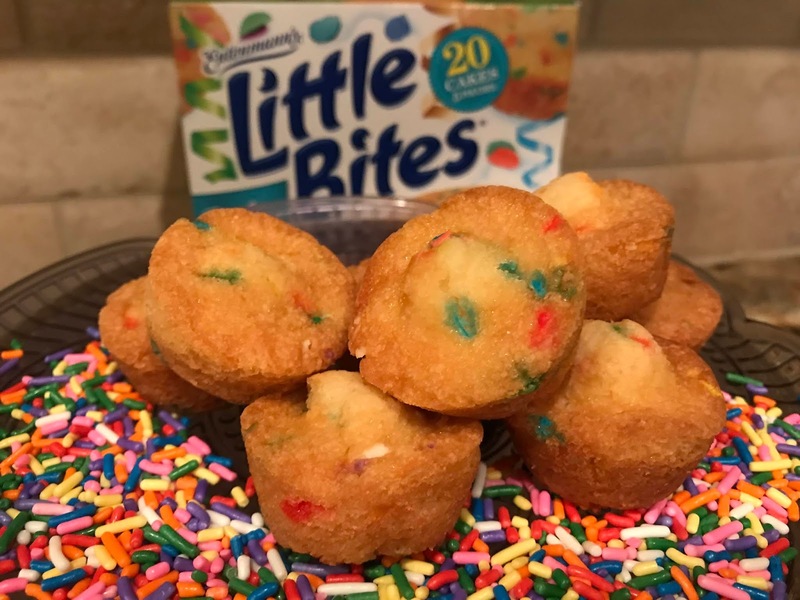 Win it!One winner will receive 3 coupons that are each for $5 off a box of Entenmann’s® Little Bites® and a $25 gift card! Please enter using the Rafflecopter below. The winner must have a U.S. shipping address. No P.O. boxes. The winner will have 72 hours to respond to our email with their shipping address. Otherwise, we will select a different winner. Good luck! Thanks to Entenmann’s® for sponsoring this post! The coupons for product redemption, information, and gift card have been provided by Entenmann’s® Little Bites® so that I could try the product and share my thoughts and information about Entenmann’s® Little Bites®. The opinions expressed in this post are my own and do not reflect the opinions of Entenmann’s® Little Bites®.